1). Ponies / Horses / Riders / Owners that are resident in Northern Ireland or the Republic of Ireland and are competing in the HOYS working hunter qualifiers at NIF 2019 DO NOT need to belong to any of the HOYS approved societies. 3). If you qualify for the Horse of the Year Show at the NEC in October your animal will also need a current/valid JMB height certificate prior to the final. 4). If you plan to enter either a Pony or Horse Working Hunter Qualifier at the Northern Ireland Festival, you will need to obtain a HOYS user id number from http://www.grandstandentries.com/preregister.aspx – these are free of charge and only take a few minutes to organise. There are no society membership requirements. NIF staff can assist if need be. 5). We will take Horse of the Show Qualifier entries on the day. However these will be more expensive. 6). The Horse of the Year Show In Hand Qualifier is the In Hand Supreme held during the Saturday evening performance. – Those competing in the daytime in hand classes that lead into the In Hand Supreme DO NOT need a HOYS user id number. 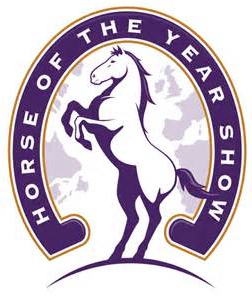 However if you qualify for the In Hand Supreme in the evening, you will require a HOYS reference number in order to qualify for the Horse of the Year Show final at the NEC.